In 1895, George M. Pullman was called to testify before a federal commission investigating the causes of the huge railroad strike that had become indelibly tied to his name. Pullman had erected a model company town in the 1880s–Pullman, Illinois, to house the works for his luxurious “sleeper” railroad cars. The town became a showplace for the company, complete with a handsome hotel, parks and playing fields, block upon block of well-appointed row houses for workers, and a large market complex known as the Arcade Building. The houses were not offered for sale to workers—they were only rented. And there, arguably, was the rub: For when hard times hit in the 1890s there were layoffs and wage cuts at Pullman. Within a year of the 1893 panic, wages at Pullman had been reduced by 28%. Meanwhile, the company refused to lower rents, which were generally higher than rents paid by working people elsewhere. This was a main cause of the 1894 strike, which led to a boycott of Pullman’s cars and a nationwide walkout involving some 50,000 members of the National Railway Union. So what did Pullman tell the strike commission about his policies, when called to testify in 1895? He insisted that the company simply had two businesses, railroad-car production and real estate. “The renting of the dwellings and the employment of workmen at Pullman are in no way tied together,” he claimed. It was an unusual—and, in fact, unbelievable–assertion. For if you consider its implications, you could logically conclude that Pullman might just as well—and perhaps just as profitably—have built the city alone, forgetting about the railroad-car works. Few other company-town builders would have dared to make such an assertion. In textiles, many firms provided rudimentary but cheap housing. In the steel industry, many companies tried to stay away from home-building. “We are manufacturers, not real estate dealers,” one Pittsburgh steel baron haughtily announced in 1908, and in refusing to build housing he seemed to be speaking for the industry as a whole. So it’s important to see the town of Roebling, New Jersey, in this context. 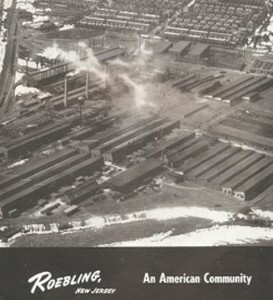 When, around the turn of the 20th century, high prices for imported steel prompted the Roebling family to decide to build new capacity, they realized there was insufficient land near their existing Trenton, New Jersey, works. They were looking to build a line of open-hearth furnaces, a billet mill to roll ingots into billets, a rod mill, two wire mills and lots more—all somewhat close to Trenton in a site equipped with water transportation and a railroad connection. The Roebling site—at first called Kinkora–met these qualifications, being at the Delaware River and close to the Camden & Amboy Railroad. 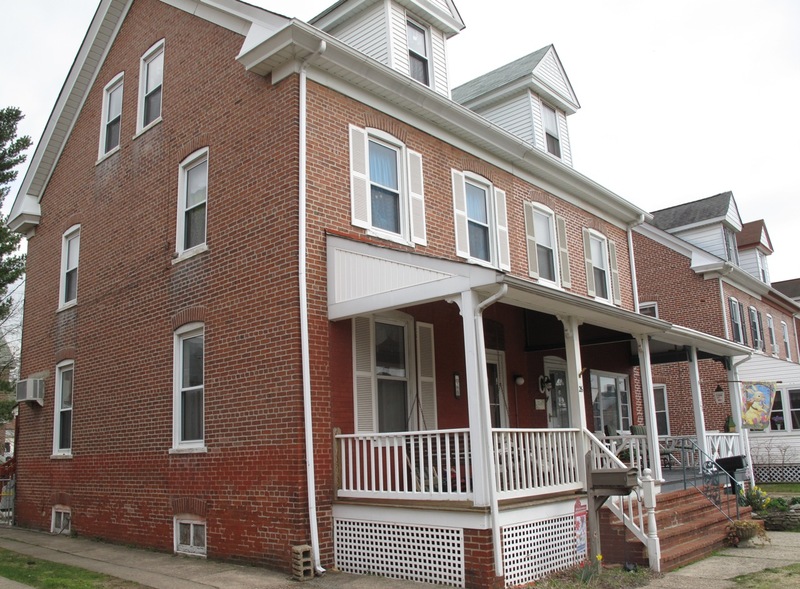 Roebling's substantial brick houses are very much in use today. But there was a complete absence of residences—so the company decided to erect a model town to house the complex’ workers. Nevertheless, Washington A. Roebling wanted it known, “we are certainly not posing as idealists or reformers.” It was “plain business necessity” that prompted the town’s construction. Nevertheless, unlike Pullman, and despite an assertion that the town was expected to pay its own way, the Roeblings would not attempt to gouge their workers as Pullman had. In fact, houses seem to have been rented at below-market rates. 750 houses were built of brick, equipped with gas and electric utilities provided at minimum cost. There were also two workingmen’s hotels. It was common for the men who built company towns to train a watchful eye on those who lived there. Milton Hershey personally rode around his town, Hershey, PA, making notes about which houses were poorly maintained and having detectives report on the drinking habits of his workers. In some company towns, the watchful role was turned over to clergymen, who were paid by the companies. In early Lowell, Mass., for example, church attendance was required of the workers. But in Roebling the company neither built nor gave land to churches—all that existed were built outside the village limits. It was also common for there to be various classes of houses—bigger, more luxurious places for superintendents; less ostentatious cottages for workers of lesser rank, all with appropriately varying rents. This was true in Roebling, as it was in the much larger Bethlehem Steel town of Sparrows Point, Maryland, to which it bears some resemblance. In Roebling, hourly workers lived in row houses near the plant, skilled workers got semi-detached houses further into town, and managers received larger houses facing the river. All buildings were maintained by the company, as were lawns and the park. In all company-owned towns, Sparrows Point and Roebling included, if you lost your job, you were evicted from company housing. (Roebling leases allowed eviction on one week’s notice if a man “got out of line.”) And at Roebling, as in the rest of the steel industry, working hours were 12 hours a day, 7 days a week, moving to a 3-shift day in the 1920s. 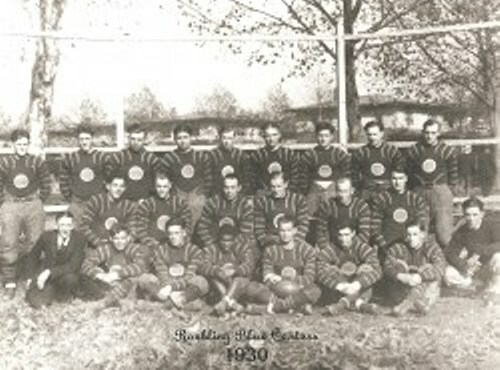 The Roebling "Blue Centers" football squad. It was common for company-town builders to include a variety of cultural institutions and recreational facilities in their town plans. Roebling, too, had a post office, a hospital, a bank, a library, an auditorium, a Boy Scout hut, and a baseball field. 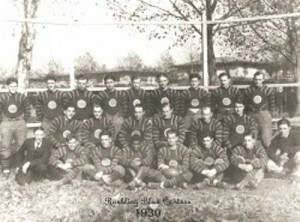 And in Roebling there was a football team known as the Blue Centers (for the Roebling wire rope), basketball, bowling, tennis, and quoits teams. Such amenities were part of what became known as “welfare capitalism.” The phenomenon was common among steel companies, at least in part as a means of maintaining the “open shop,” or nonunion production. Several companies had so-called “employee representation plans,” otherwise known as company unions. These provided elected worker representatives to discuss with management such matters as safety and “industrial conciliation” but unlike real unions, they had no leverage to get things done. Roebling’s welfare capitalism included a pension plan and group insurance, and in 1925 a profit-sharing plan for salaried workers. Rather late in the day—1937—the company initiated a company union known as the Roebling Employee Association. This gave way to the CIO’s Steel Workers Organizing Committee in 1941. As most of you know, the Roebling company became the world’s leading producer of wire rope. But in 1953, the family sold its company to the Rockefeller-owned Colorado Fuel and Iron, which continued operations in the town until 1974. The houses and commercial buildings had been sold by the Roeblings in 1947, with tenants and other employees getting first dibs. So what is the takeaway? I have tried to suggest that there are many similarities among company towns—and many particularities. Perhaps surprisingly, it was not unusual for company-town builders to express idealistic motivations for building their towns; nor should we be surprised when, as with the Roebling brothers, town-builders pooh-poohed any such motivations, effectively saying, we’re just doing this out of necessity and have no intention of coddling our workers. All the same, I suspect that the Roeblings—and many town residents–were proud of their little town, and clearly they took pains to ensure that it would be no Gary-like slum or even a gray, purely utilitarian settlement. Today, you cannot visit the town of Sparrow’s Point, Maryland. It no longer exists. As Bethlehem Steel expanded the plant in the 1950s, until it became the largest steel mill in the world, the company demolished most of the town to allow for factory expansion. But Roebling, N.J. is still here—and in many ways, that fact speaks for itself. Well, Hardy, even “welfare capitalism” might be better than what’s going on now! (That’s a joke.) But I found this most interesting. 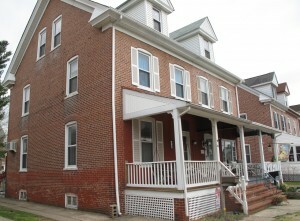 The little brick houses look sort of like the ones I recall from places like Camden, NJ and parts of Philly. It was an architectural style of the day, I guess. Loved the part about the different levels of housing luxury according to class rank! account you can request password for email here. you get complete anonymity and confidentiality 100%. Email password is not changed. Previous post: Can ‘Airworld’ Truly Be the City of the Future?